Artist Sajik Kim, whose works are exhibited at our current exhibition "Boundaries," will have a gallery talk on Saturday, April 27th as part of "New Cosmos of Photography Exhibition 2019" at Gallery Ann in Kyoto. Admission is free, but prior reservation is required. For more information please visit the link below. 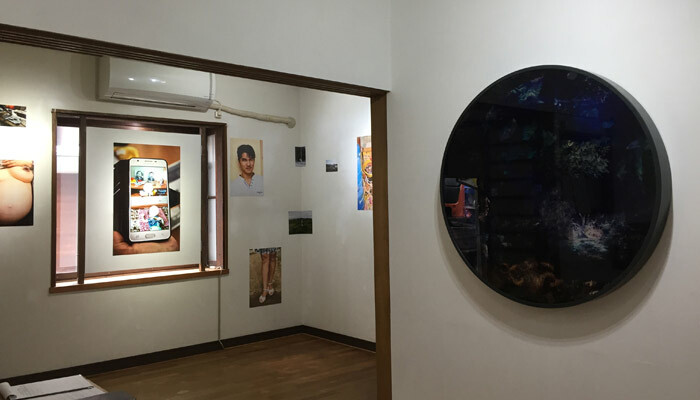 "New Cosmos of Photography Exhibition 2019 Talk Show"
HRD Fine Art's current exhibition "Boundaries" is an affiliate program of KG+ 2019, a satellite event of Kyotographie international photo festival. It is listed in the website and the official program map of KG+ 2019, but there is an error regarding the business hours: The gallery will be open until 6pm, instead of 7pm as shown in the map, on Fridays and Saturdays during the exhibition period. We sincerely apologize for any inconvenience this error may cause. Copyright (C) 2009-2019 HRD Fine Art. All Rights Reserved.